Mid-Autumn Festival and National Dayvacation time,Mid-Autumn Festival and National Dayvacation time-Guangzhou Xingyan Heat Transfer Equipment Co.,Ltd. 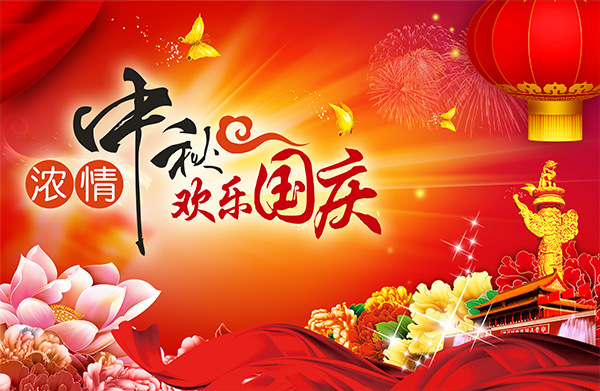 Hello, Guangzhou Xingyan Heat Transfer Equipment Co., Ltd. wish you a good fortune in the Mid-Autumn Festival and National Day,Happy Mid-Autumn Festival !Happy National Day ! Our Mid-Autumn Festival vacation time: Sep 23, 2018--Sep 24, 2018, 2 days in total. Our National Day vacation time: Oct 1, 2018--Oct 7, 2018, 7 days in total. We will be back to work on October 8, 2018(Monday). Welcome to call us about the business negotiations, we will reply you asap!